The global online audience currently stands at some 3.2 billion connected individuals, according the U.N. In 2015 an additional 237 thousand joined the online community. Top media giants Facebook and Alphabet are determined to grow this number with the introduction of various airborne devices designed to bring internet to the far corners of the globe to boost their revenues. As online viewership and behaviors grew in 2015 – the average U.S. adult now spends a reported 5 hours and 38 minutes on the web – advances have been made in the way individuals and small businesses operate in the digital world, which will grow even more this year. Additional barriers and growing issues in the online space with lead to further innovation in the connected world. In 2015, issues of online security and data privacy consumed headlines. The controversial CISA bill passed in late December, despite outcry from the tech world, now means large corporations will be able to share personal online data with government agencies. The issue of cyber-espionage, targeting companies like Target, Home Depot and Anthem Insurance, continues to be a concern. As social media becomes a platform for online extremists, valid questions regarding freedom of speech, monitoring and censorship have arisen. In the context of online privacy, how will the connected world respond? “For the internet security industry, we will see a massive growth as people are getting more aware of the consequences of internet security breach. The industry will continue to invest heavily in educating people and convincing them to try internet security products (free versions & life-time trials). For the VPN industry specifically, we will see a lot of new providers as the barrier to entry is extremely low, and demand is high. “Giant, white pumpkins” and solar-powered laser-drones – these are the latest creations from Alphabet and Facebook (respectively) set to cloud the skyline in 2016, endeavoring to bring internet to 56.6 percent of the world’s population. These powerhouses are set on radically cutting the cost of connection. However, before these dreams become a reality, what price will the online consumer expect to continue pay for private carrier service as our online dependence increases? “The value of being wirelessly connected continues to rise. In fact, the only real delineation amongst wireless rate plans today is data. How many gigabytes are included, and at what cost? In 2016, the price of mobile data will remain relatively stable. We expect that consumers and businesses will acquire more data for the same price (i.e. 10GB for what 5GB costs today). However, due to the size of apps and digital media, along with the enhanced data speeds that LTE networks provide, 10GB of data will ultimately provide a similar user experience to what 5GB of data did in 2014. Ultimately, although the perception is one of increased value, consumers will not experience lower wireless costs. In fact, they will continue to increase, along with usage. Streamlined Online Experiences – Think Slack 2016. Efforts of product integration between online softwares are set to continue. Tools designed to streamline online habits and business processes will continue to work to reduce the clutter of the online space. One of the stars of 2015 was undoubtedly Slack. The average daily users jumped from 365 thousand in January to 2 million by the end of the year. Tools that seek to improve the online experience for the individual and small and large businesses alike further integration and save precious time. “In the enterprise communication space, including email, social messaging and information mining, we will see employees requiring a similar great experience on all platforms they use, whether via desktop or mobile. We will see merged offerings to ensure that tools such as Slack can also seamlessly interact with (and even be) email offerings, ensuring that employees do not have to waste time in multiple communication streams. I suspect that the merged offerings from large vendors (Microsoft, Google) will get better, but that upstarts will be desired for cross platform capability. Mobile Growth Will Continue To Shape Our Lives. It is no secret that mobile usage is on the rise. In 2014 digital time spent on mobile exceeded that of desktop. e-Commerce noise has been replaced with talk of m-Commerce growth. The data that can be targeted by advertisers is propelling this mobile advertising. Not only does this mean huge advancements for personal use, but also the prospects for new businesses in 2016 look to be vast. As Apple grows its 3D Touch capabilities, and Google makes waves in a touchless way with Project Soli, these opportunities continue to push boundaries. “I anticipate mobile will make incremental but significant steps in shopping, banking and lifestyle management. Carriers moving away from subsidized phones helps level the playing field and makes mobile connectivity ubiquitous. Mobile computing will creep in further into modern living via wearables, starting with third generation e-watches and health tracking devices. There are huge opportunities for startups to add value in the mobile space. In the smart labels/tags field, public awareness of what solutions are available is increasing. Always-on cameras/heads-up displays like Google Glass are behind the curve. Their availability will provide a boost to mobile lifestyles and related ecosystems. There is new attention to headset-driven augmented reality – and that may start yielding usable products in 2016.” – Murat Divringi, Dynotag, Inc.
E-commerce StartUps Challenge The Biggest Players. Speaking of e-commerce – which was one of the largest industries of 2015, amounting to an enormous $1.316 trillion in 2015 -the industry is predicted to grow 18.6 percent in 2016,and to be almost double 2015 levels by 2018. While a huge push will come from China and the U.S. – dominated by the largest players such as Amazon – a growth of the demand fueling this industry paves the way for new startups offering a more niche or personalized experience. 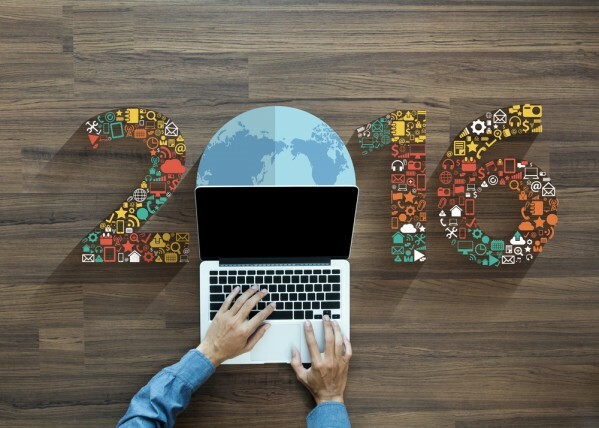 “E-commerce will be evolving in many ways in 2016. With the rise of Uber and other innovative transportation startups, same-day shipping will stop being monopolized by big companies such as Amazon and eBay and will be democratized to smaller stores and boutiques. Finally, on the note of the personalization of online consumer industries, it wouldn’t be a trend roundup without noting the huge steps that FinTech and the Internet of Things are taking. Financial tech services, with technology such as the Robo-Advisory services that bring a private investment experience to the masses, or the advancements new startups have made in using technology to reduce global remittance costs – a huge variety of innovations are changing the financial world. Where there is money, there will be change, and the advancements of 2016 we be will sure to illustrate this. “In FinTech human advising is being replaced by algorithms that narrow the gap between the rich, who can afford a personal financial advisor, and the poor, who don’t know what to do with their debt. Robo-advisors will become smarter and will cover every aspect of financial life – not just investing. Digital banks are booming everywhere, so physically visiting your branch is getting old. Blockchain technology is speculative but I don’t think it will replace our money anytime soon, as regulatory bodies require some control over the ecosystem.” – Art Seredyuk, PocketGuard, Inc.